Michigan Attorney General Bill Schuette has won the Republican nomination for governor and will advance to the November general election. Michigan Attorney General Bill Schuette is headed toward a comfortable victory Tuesday in the Republican gubernatorial primary, a race he was widely favored to win. 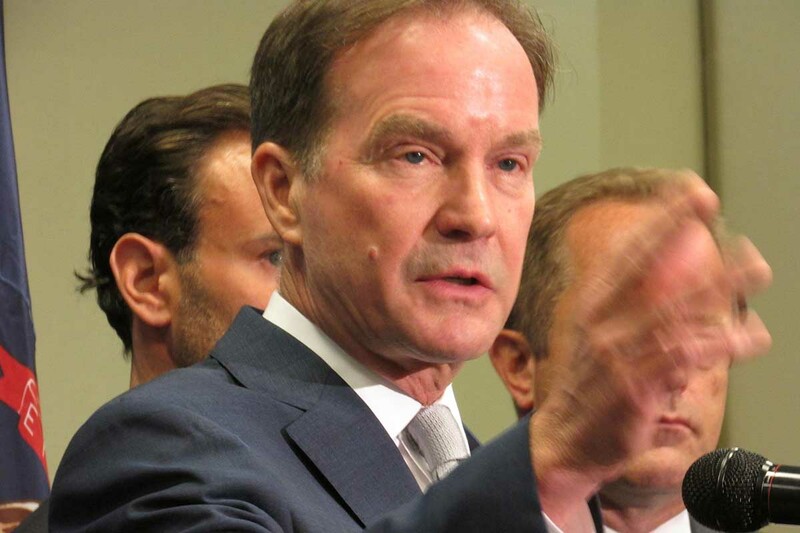 Multiple media outlets called the race for Schuette before 9:30 p.m. Tuesday, including Lansing political newsletters MIRS and Gongwer News Service, the Associated Press and Politico. Schuette, 64, led his three primary challengers by sizable margins in polls, relentlessly touting his fealty to, and endorsement from, President Donald Trump in debates and on the campaign trail. And he carried that wide polling lead into the unofficial results, far outpacing Lt. Gov. Brian Calley, state Sen. Patrick Colbeck, of Wayne County, and Saginaw obstetrician Jim Hines, who ran as an outsider in a field of candidates with government experience. Schuette said it was his hope that state GOP voters can move forward from a dividing primary and unite behind the common goal of providing more jobs and paychecks to Michigan families. He turned his sights to the favored Democratic gubernatorial candidate, former state Sen. Gretchen Whitmer, of East Lansing, saying that her policies would take the state backward. "The reality is, this is President Trump's Republican Party," Calley said in his concession speech. "His chosen candidates win Republican primaries. We see it happening all across the country. And so I want to say to Bill Schuette: Congraulations."